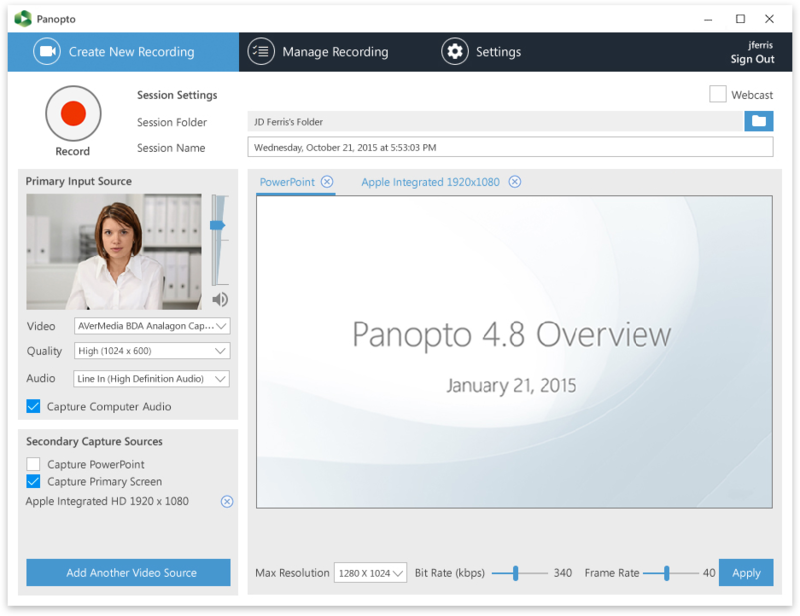 Panopto 5.0 is now available for download. One of the major updates is the redesigned user interface, or UI. Take a look at the screenshots below for a quick glance. Users can live webcast from the Mac. Live webcasts have a DVR function, allowing viewers to go back in time and watch something over again during the live broadcast. The PC recorder comes with system audio recording functionality, which could be useful if you want to incorporate video (e.g., YouTube videos) into your recordings. 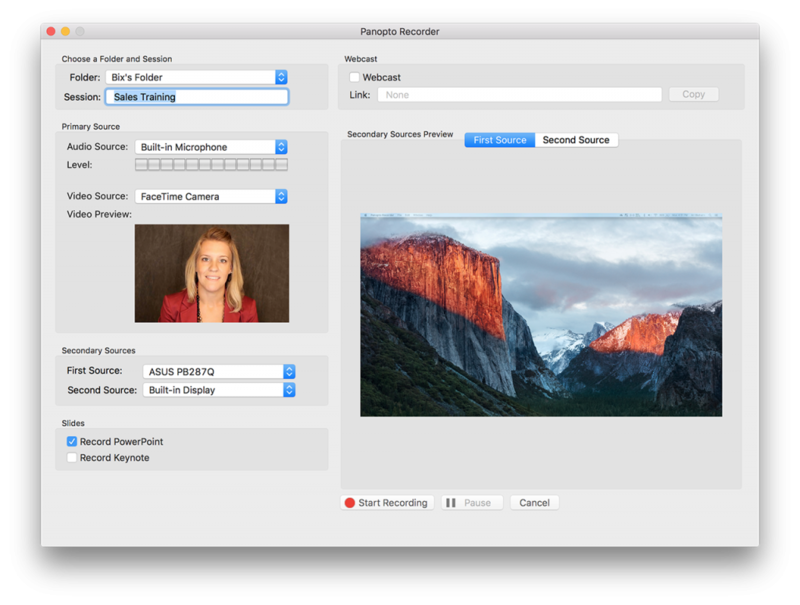 You don’t have to update your Panopto recorder yet; however, if you want to update your PC or Mac recorder, follow these steps. 2. Log in to the Panopto Canvas Integration using your Maryville credentials. 3. Click Download Recorder, which is in the top-right corner. 4. Choose to download the recorder for a PC or Mac. This entry was posted in Announcements, Tech Tools and tagged lecture capture, Panopto by . Bookmark the permalink.